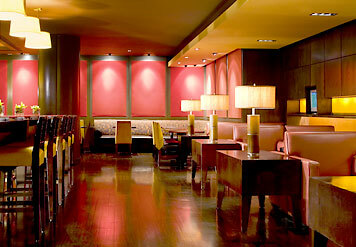 The JW Marriott's Bar 1331. I know most of you don't need any excuse to imbibe, but with Earth Day coming up this week, here's a great reason to raise a glass: JW Marriott’s Bar 1331 today is launching a menu of special cocktails and organic wines, with a generous 30 percent of proceeds going to protect and preserve the endangered Juma Reserve rainforest in Brazil. The cocktails ($12) are being mixed up with Prairie Organic vodka and include the Prairie Sage Sour (sage leaves, vodka, lemon and simple syrup), the Prairie Fresh (cucumber, mint, vodka, lemon and simple syrup) and the Strawberry Fields (muddled strawberries, basil, vodka and Sierra Mist). Organic wines, including Pacific Rim Organic Riesling and Vida Organica Malbec Rose, start at $9 for a glass. The menu will be available throughout the summer months, so drink up! I like rainforewsts and I like vodka. win.